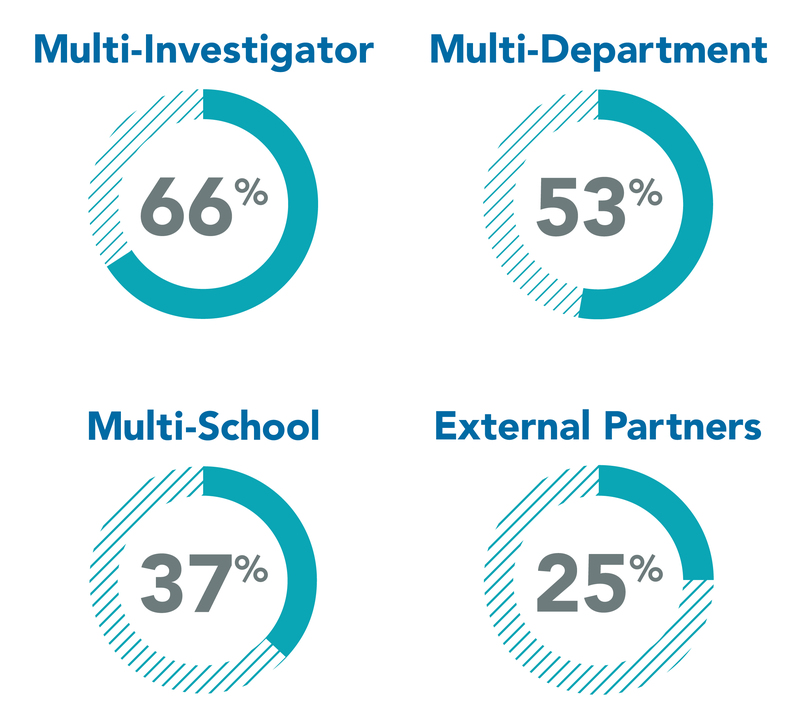 Research is a team effort, with UNC faculty members collaborating across disciplines, departments, and schools, and partnering with scientists at other institutions in North Carolina and worldwide. How does UNC-Chapel Hill stack up with other universities and colleges? 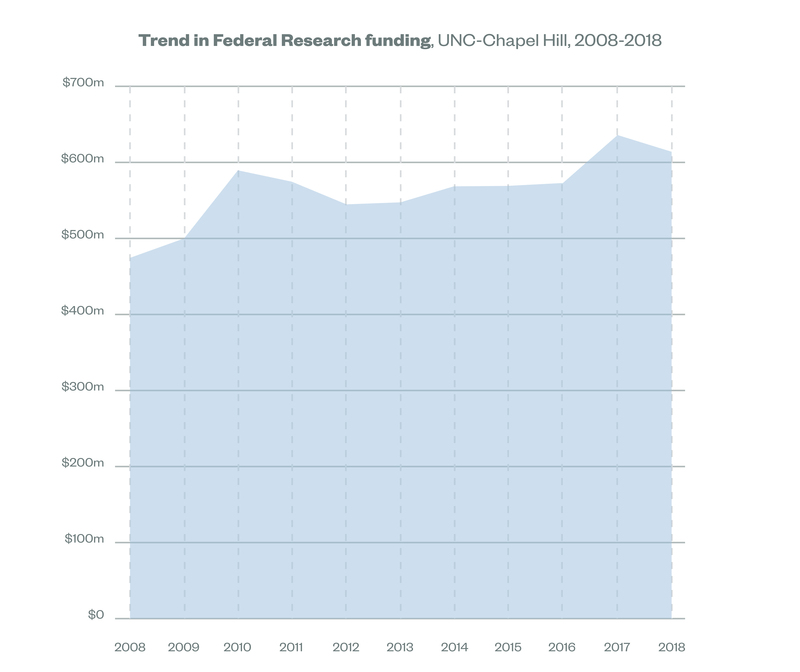 For FY 2017, the University of North Carolina at Chapel Hill was ranked seventh among both private and public universities nationwide for DHHS and National Institutes of Health (NIH) research funding to domestic institutions of higher education. 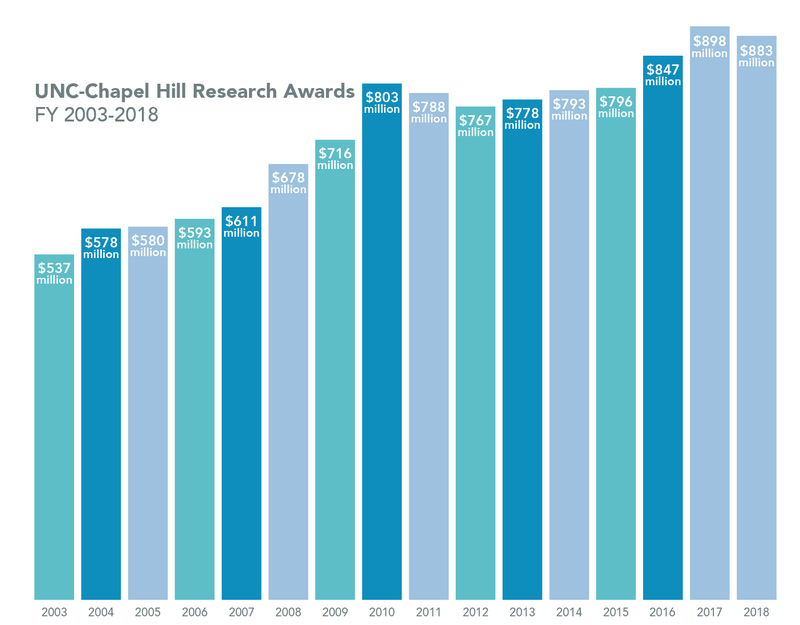 UNC-Chapel Hill faculty researchers receive more than $400 million in NIH research funding annually. 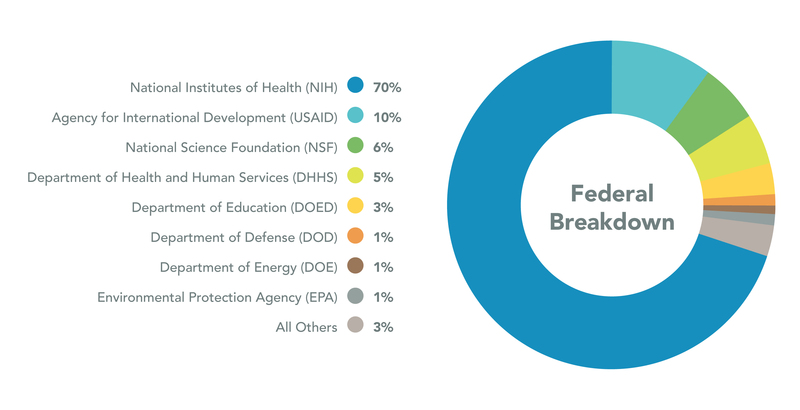 Facilities and administrative (F&A) funding is an essential part of operating and sustaining any large research university. Funding for a research grant typically takes two forms. One portion of a sponsor’s award (direct funding) is directed to the individual researcher on the project to fund the unique costs of that particular grant. The other portion (F&A funding) is directed to the university to cover the broader facilities and administrative (F&A) costs of supporting the grant. 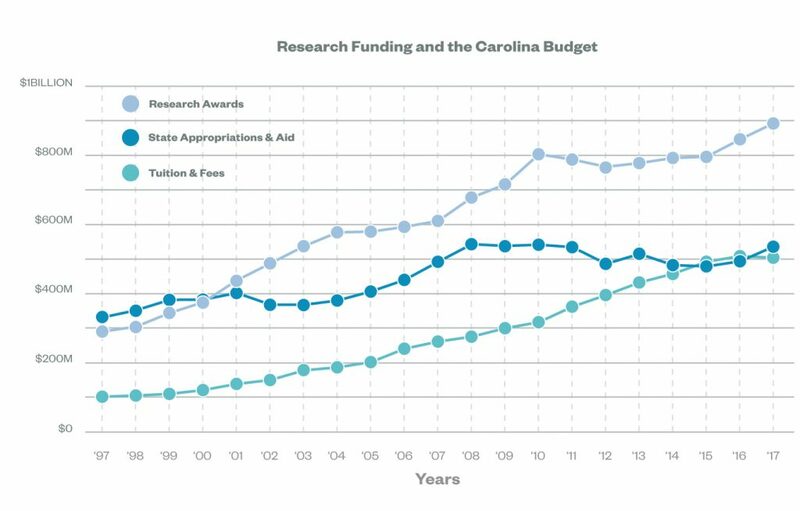 Universities use F&A funds to sustain the extensive and complex infrastructure required to conduct sophisticated research.